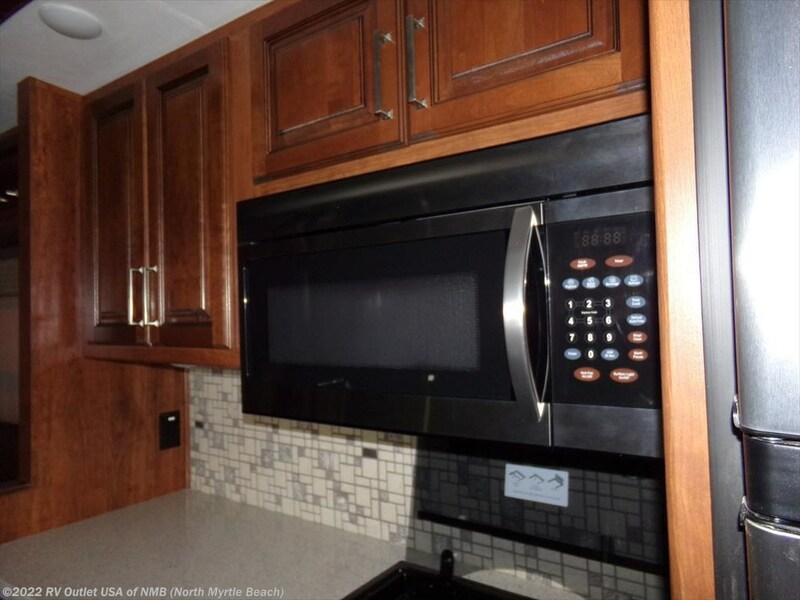 STAINLESS STEEL APPLIANCES ** CONVECTION MICROWAVE! 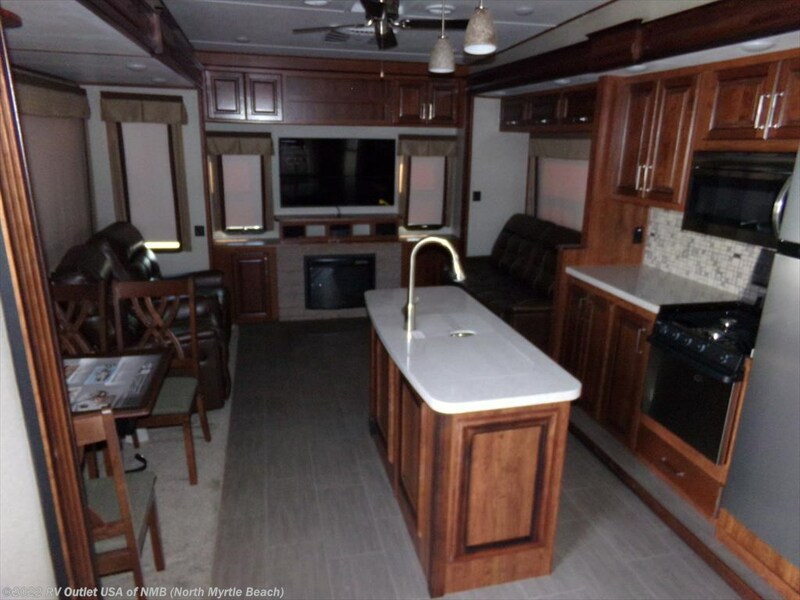 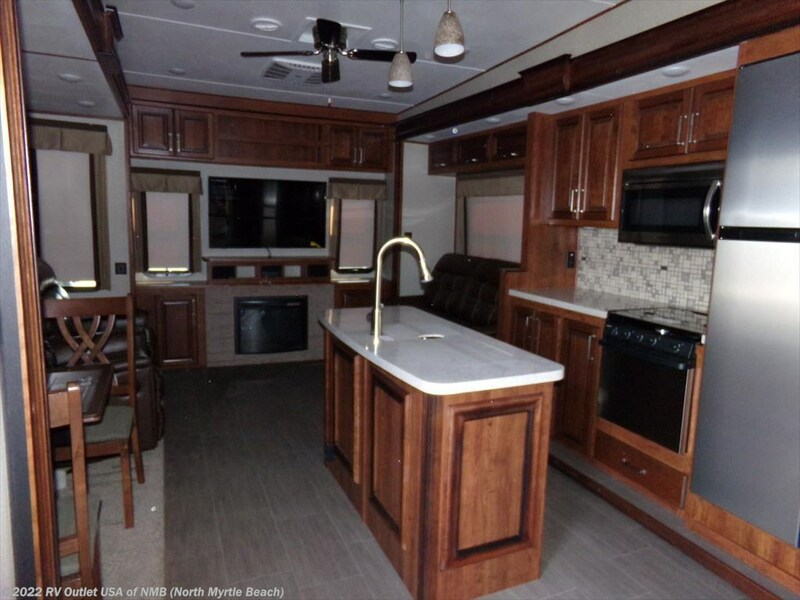 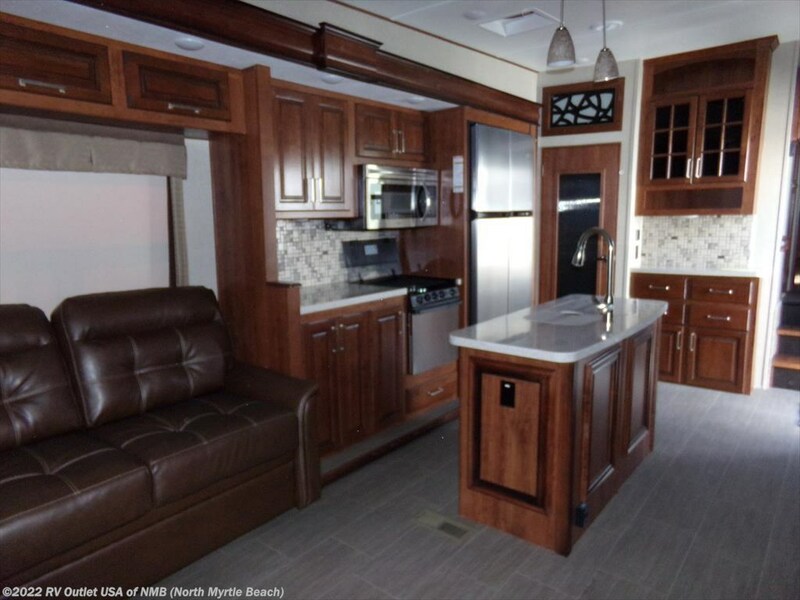 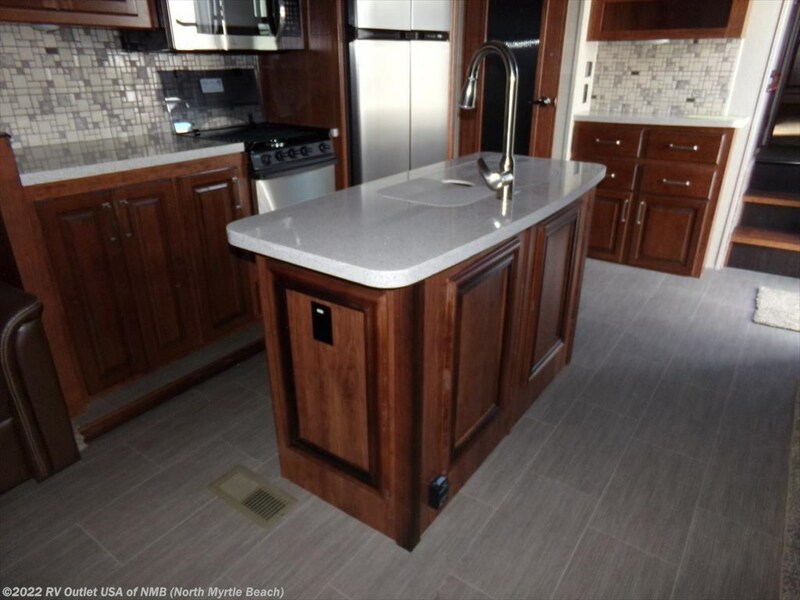 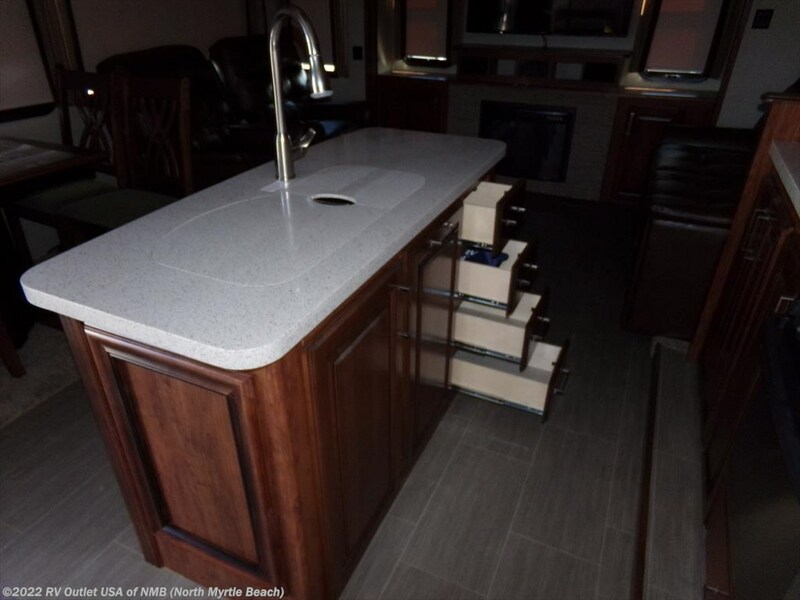 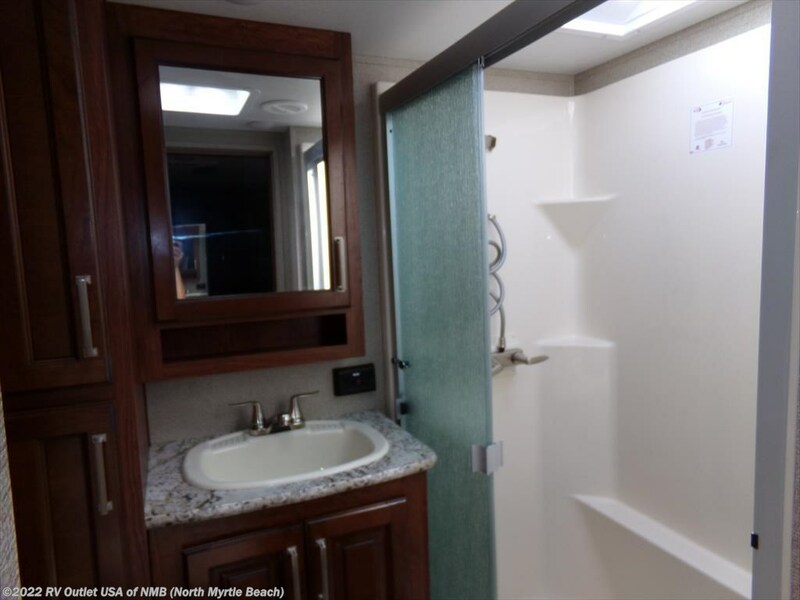 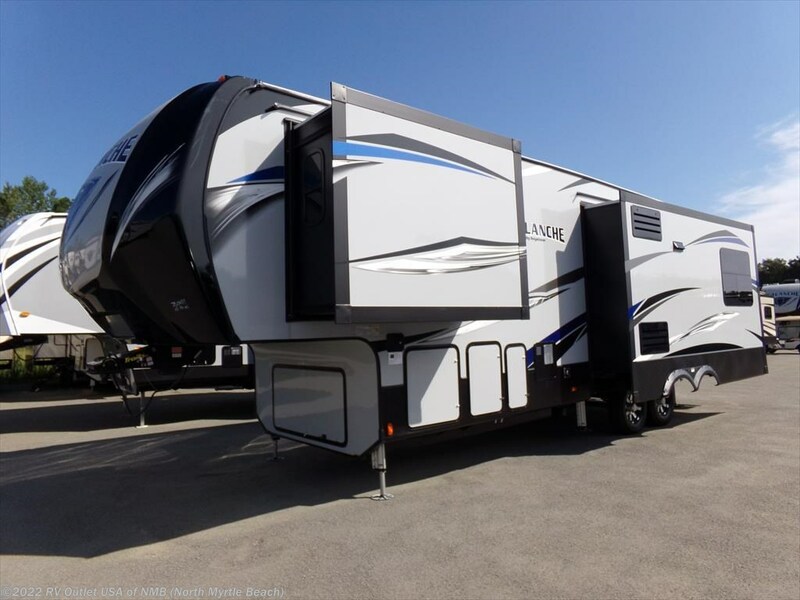 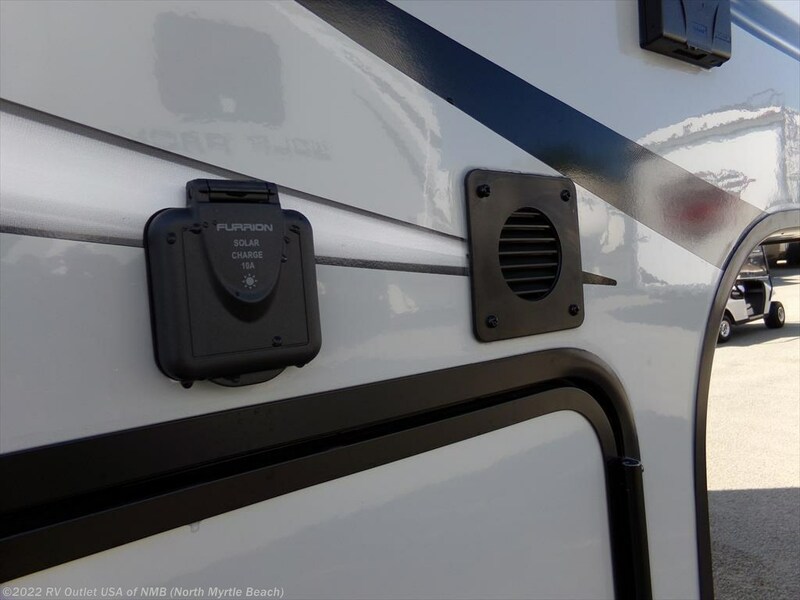 If you're in the market for a rear entertainment 5th wheel that's not 40' long and weighs a ton, then this brand new 2018 Keystone Avalanche 300RE just might be the RV for you! 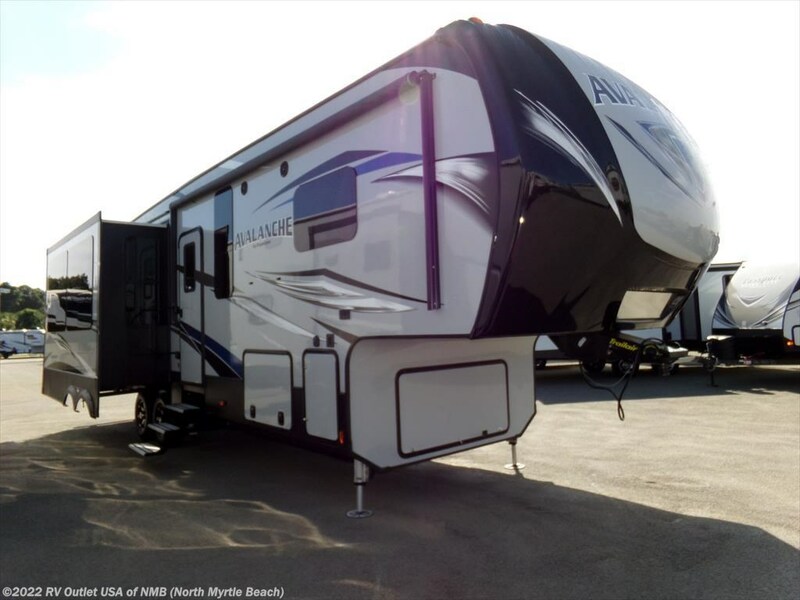 The 300RE is 34' long and weighs only 11,489lbs which is perfect for any 3/4 ton truck gas or diesel! 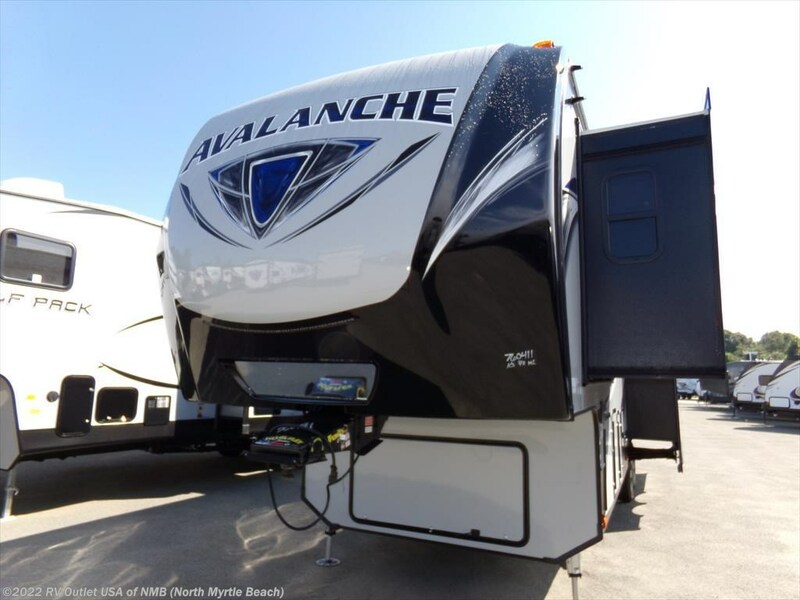 The new Avalanche 5th wheels have the Max Turn high gloss fiberglass front caps, 10" I-Beams with the "Z-Frame" technology, hydraulic selector values for the slide outs, triple insulated and heated holding tanks! 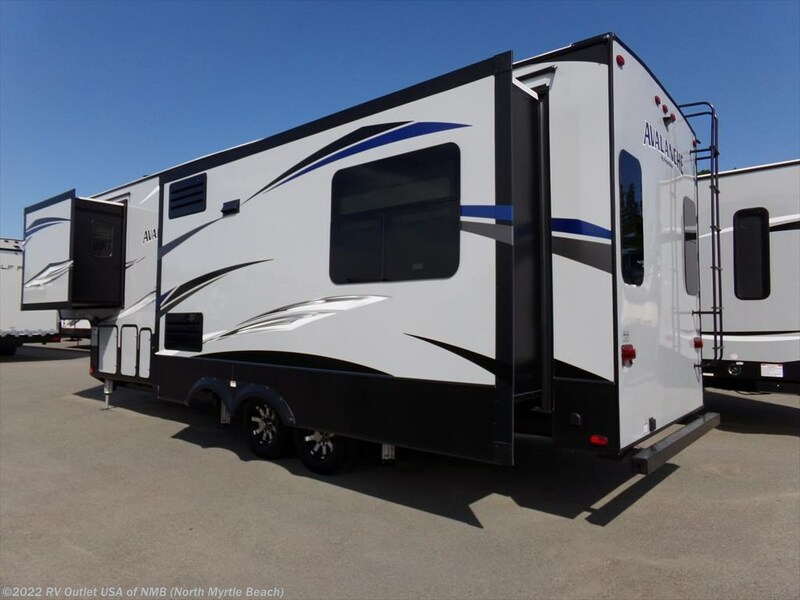 They're very nice, well built 5th wheels! 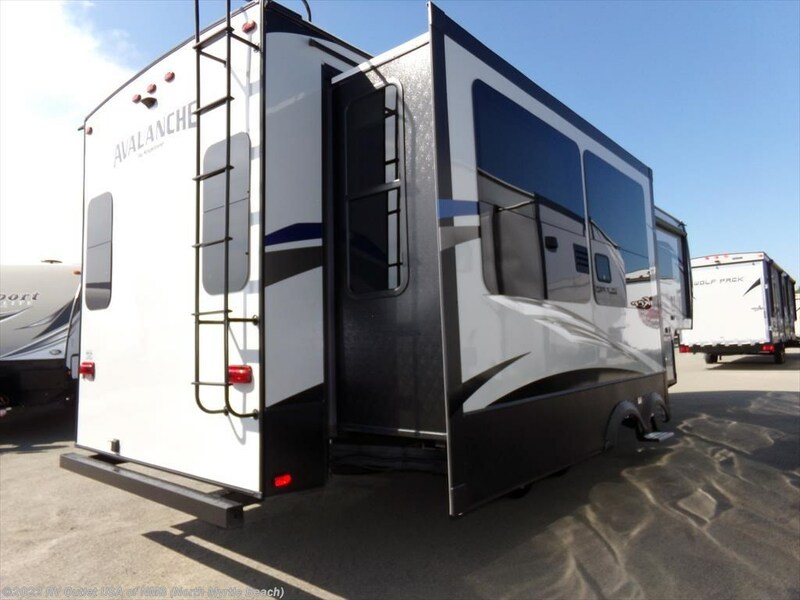 The 300RE floor plan is a rear entertainment with (3) slides. 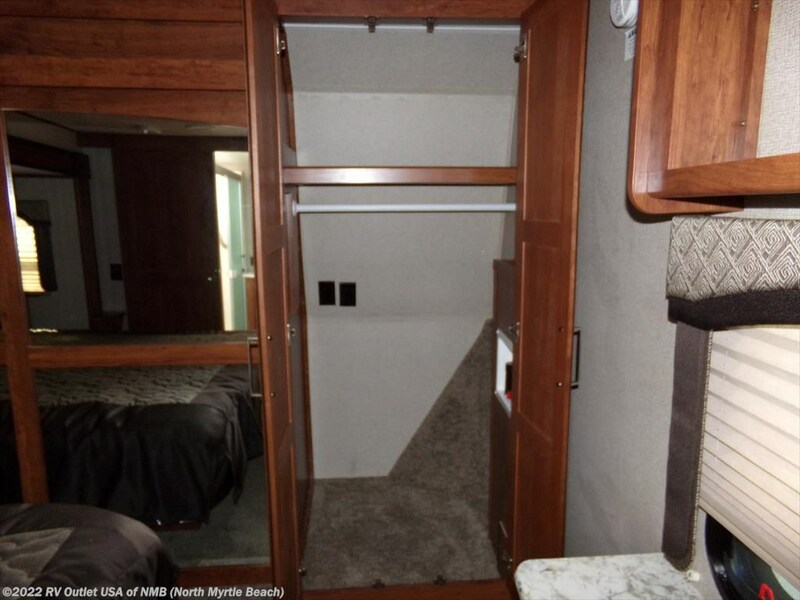 The front master bedroom offers a walk around king bed slide with storage underneath, a full size master closet and a side closet that's been prepped for a washer and dryer. 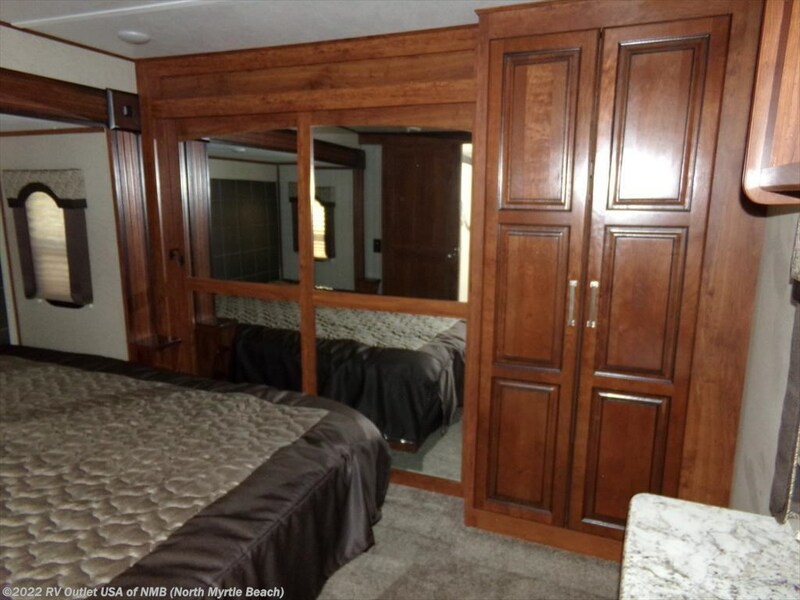 It has a dresser at the foot of the bed along with a master bedroom TV! 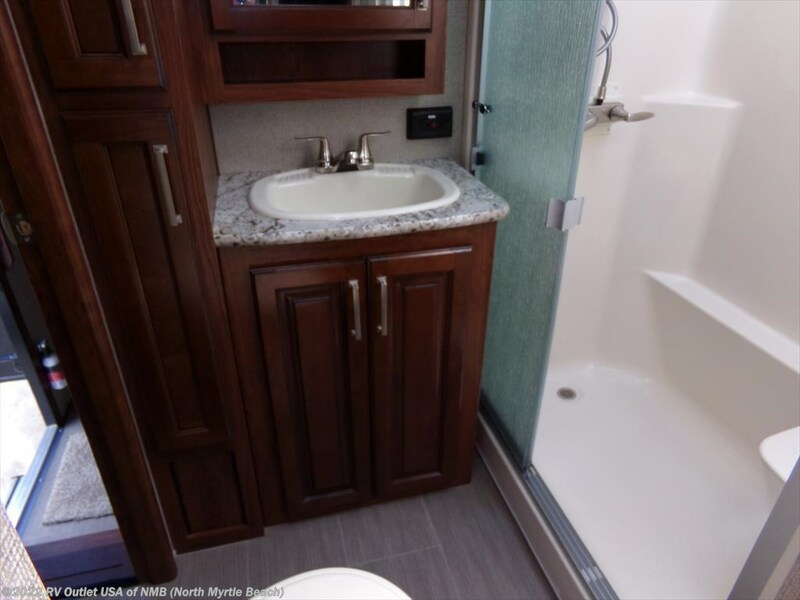 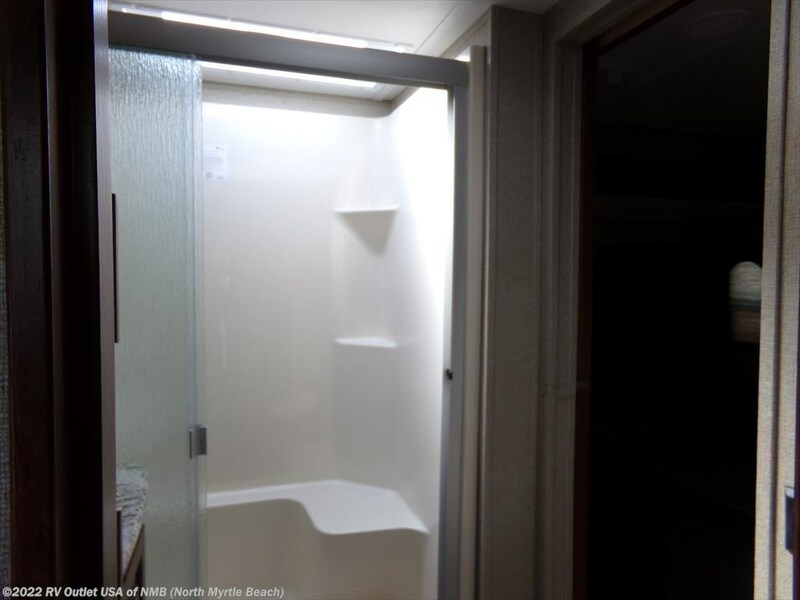 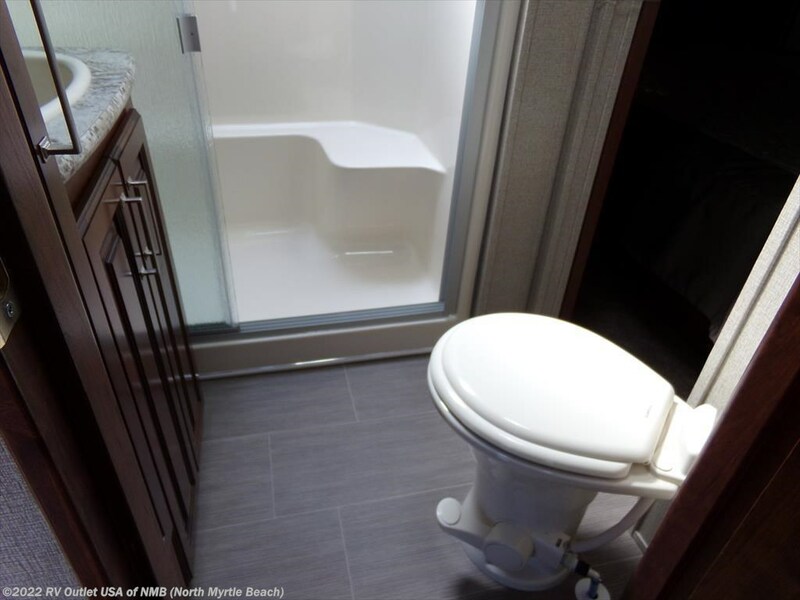 This floor plan also has a very private side aisle bathroom with an extra large shower with built in seat, a linen closet, a porcelain foot flush toilet, and a sink with medicine cabinet and underneath storage! 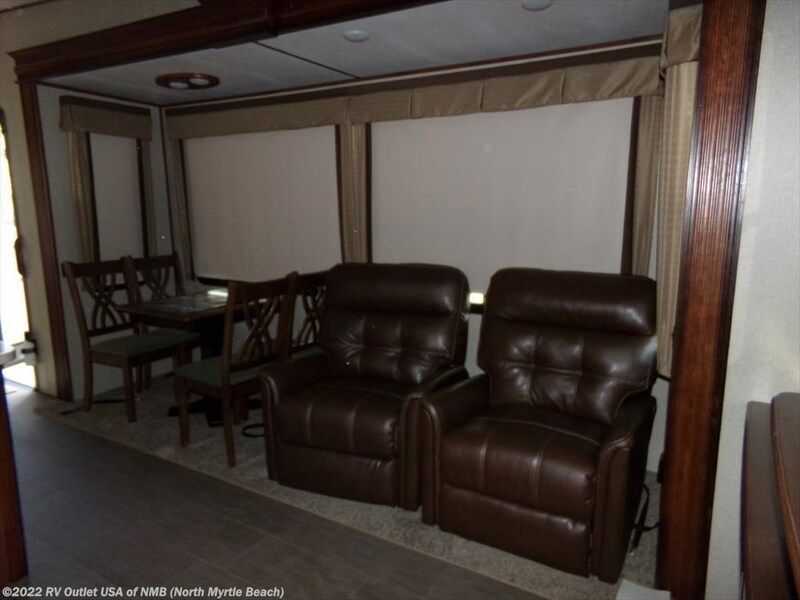 The main living area in this 5th wheel is very spacious because of the (2) opposing slides! 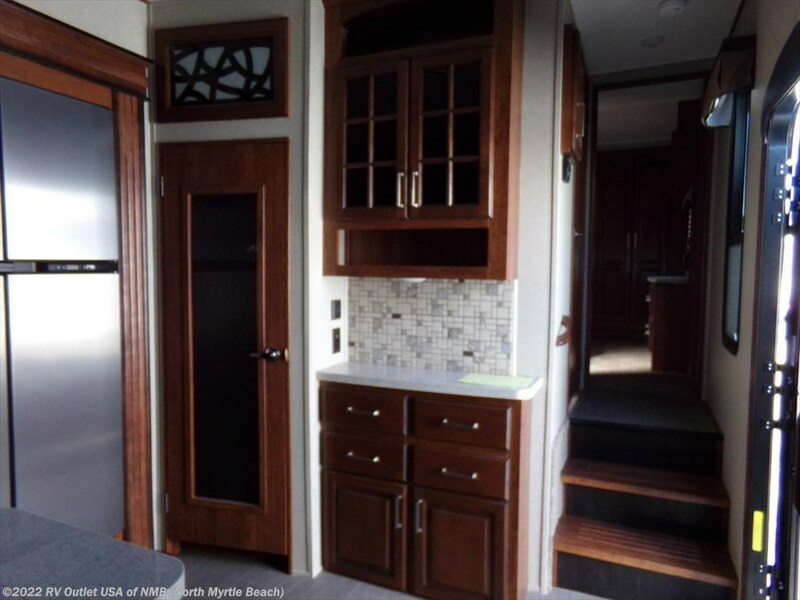 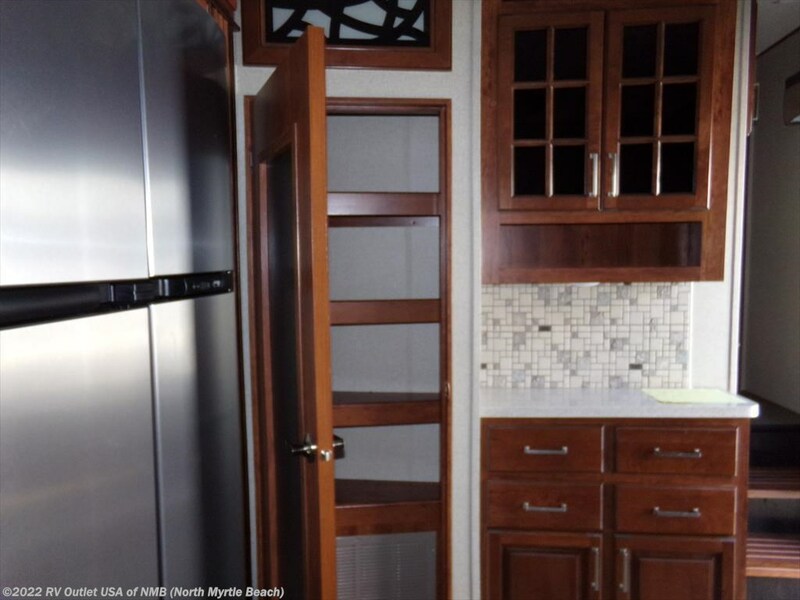 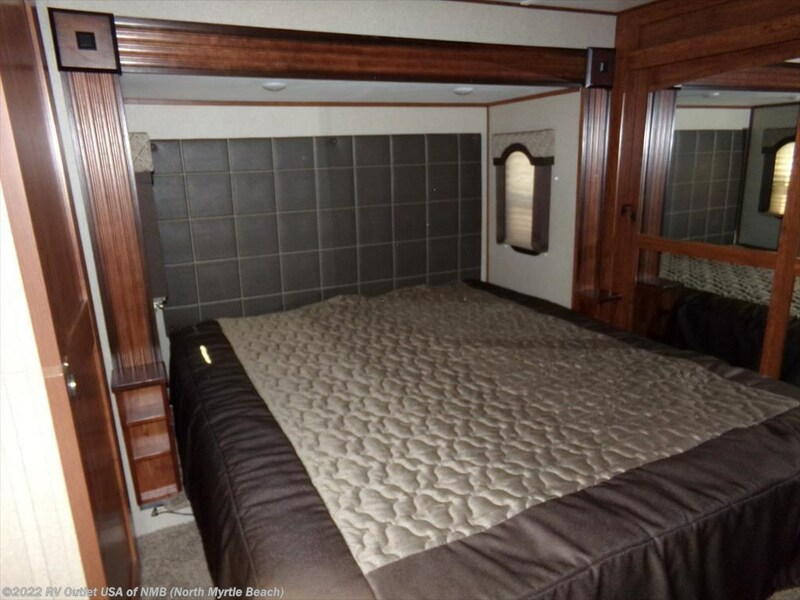 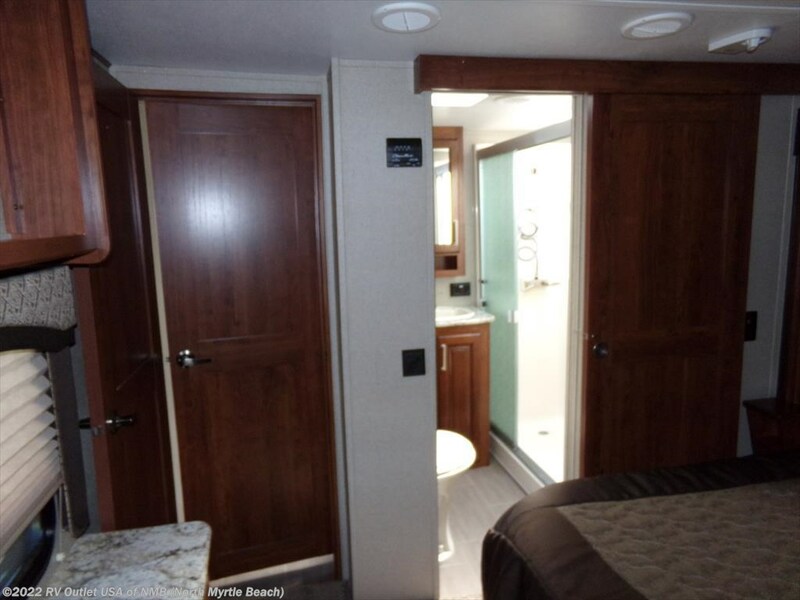 The slide on the off door side has towards the front a full galley (kitchen) with a (3) burner cook top, an oven, an over head 30" microwave oven, an Island kitchen and an 18 cu ft refrigerator. 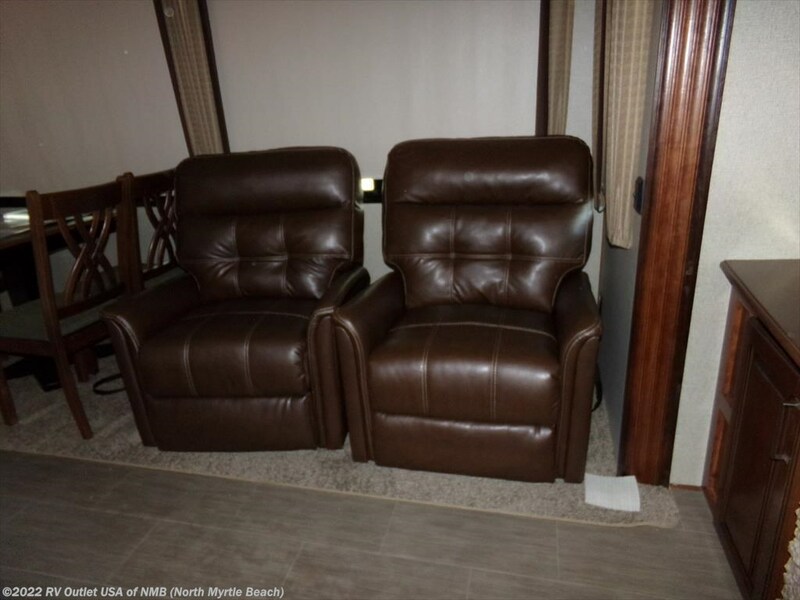 Towards the rear of the slide is a tri fold hide-a-bed sleeper sofa! 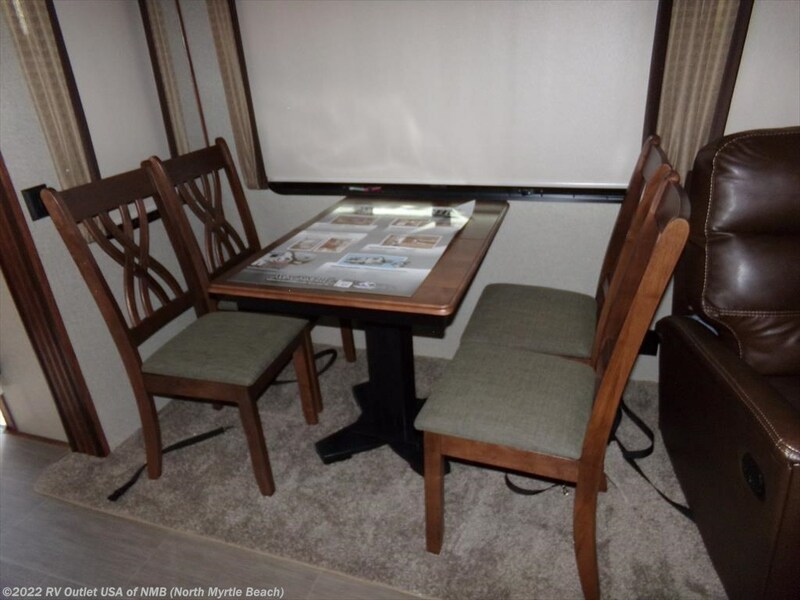 The slide on the door side has the free standing table and (2) swivel rocking recliners. 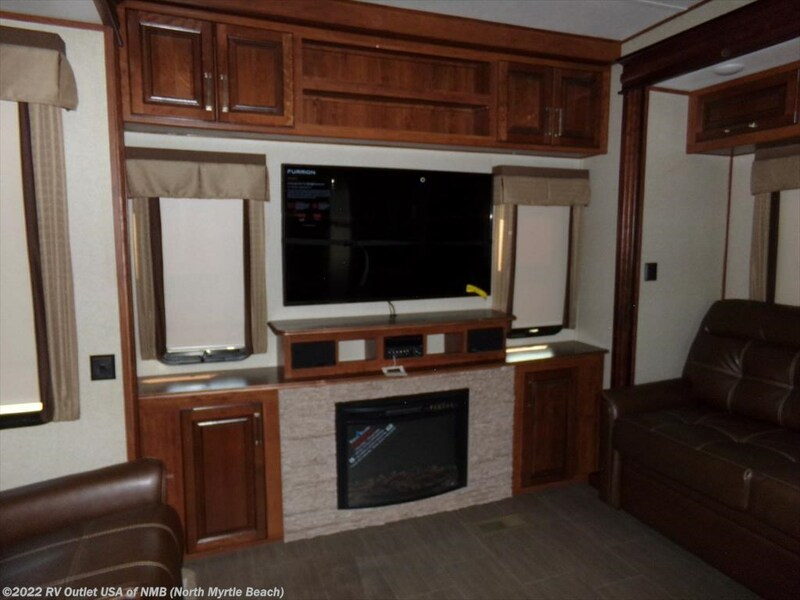 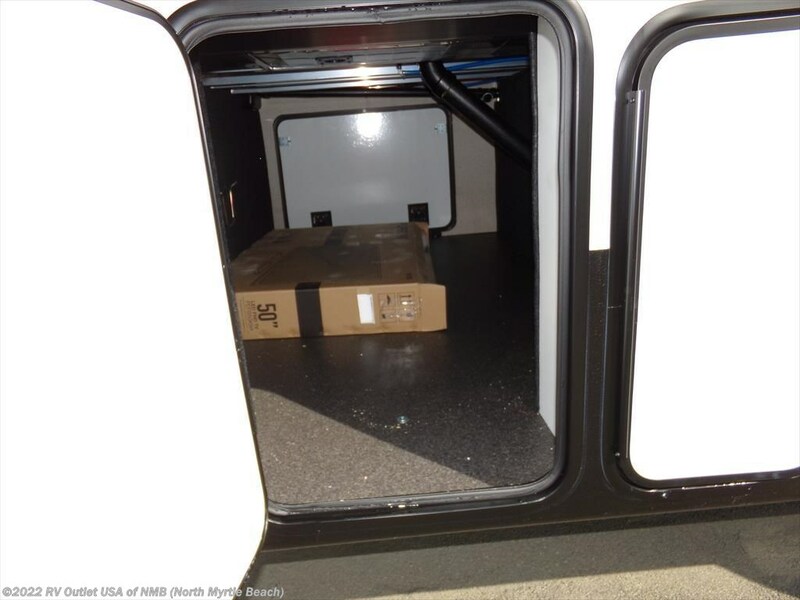 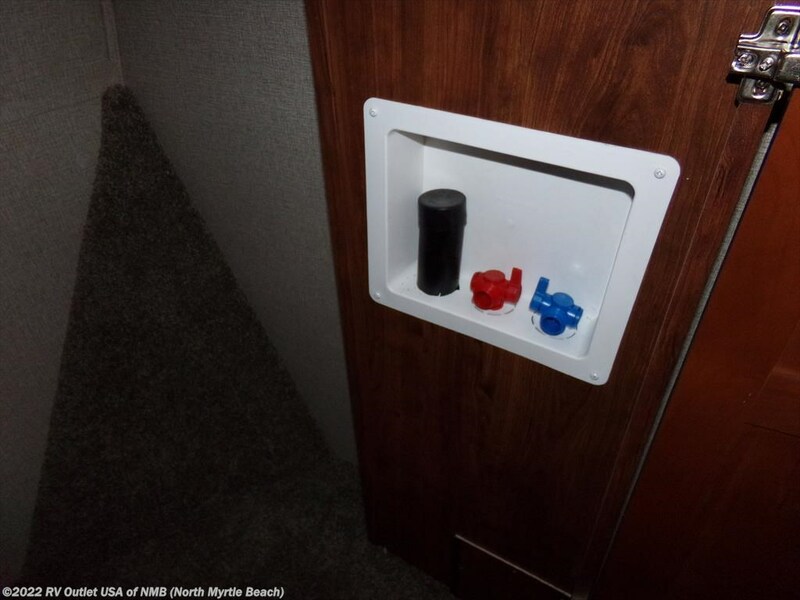 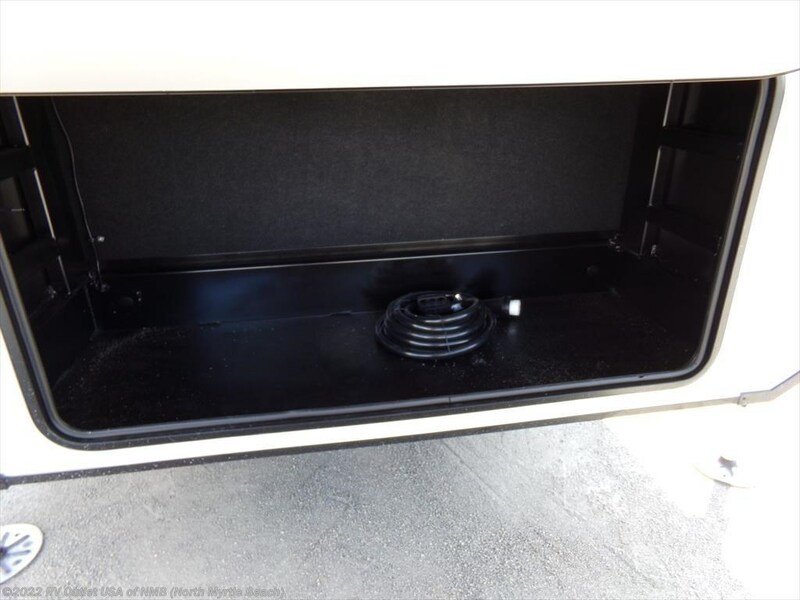 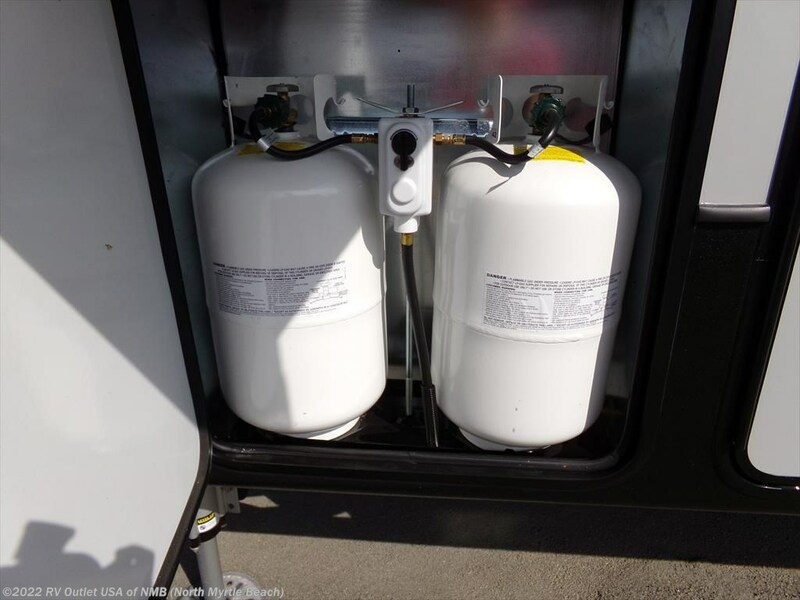 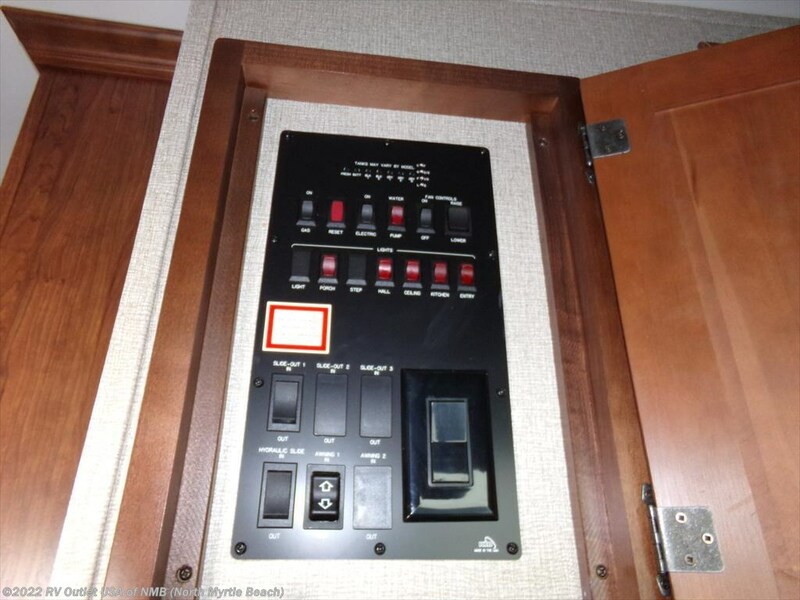 In the rear of the RV is a beautiful entertainment center with a large LCD TV, built in cabinets above and a rocked fireplace below! 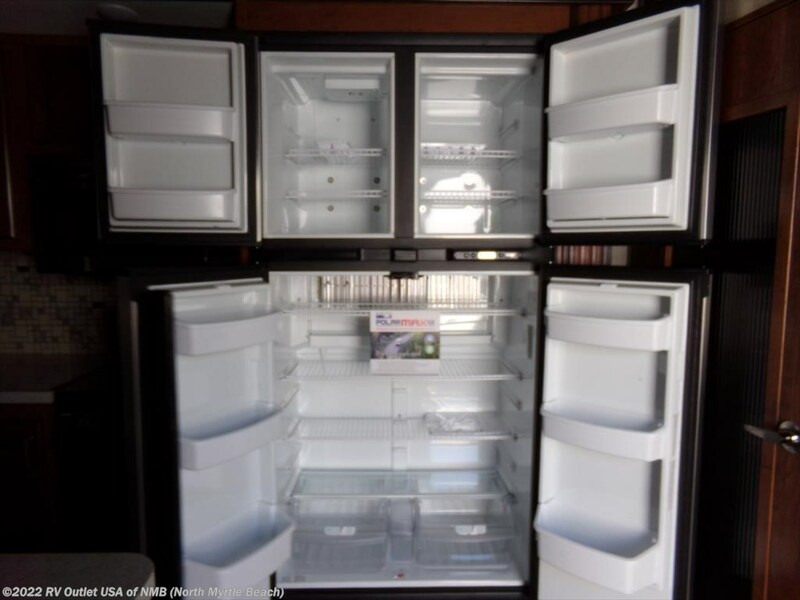 It really shows well!! 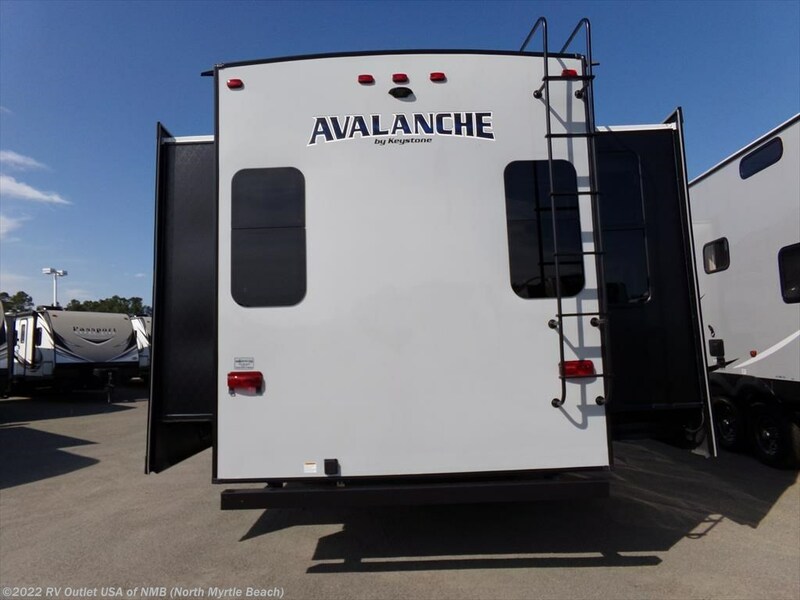 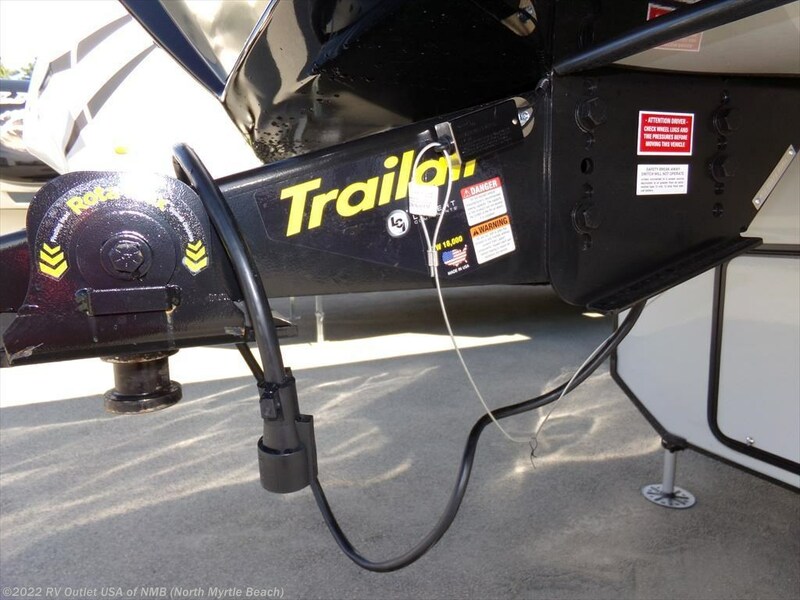 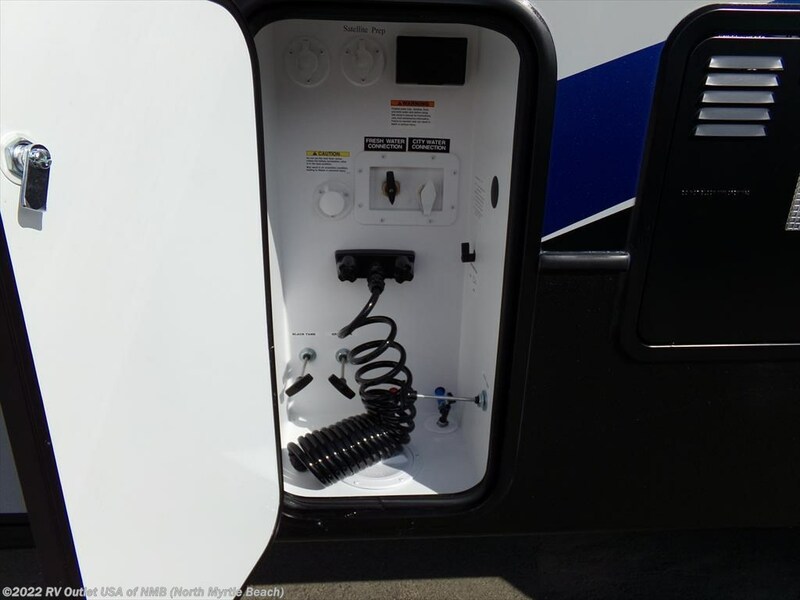 Here's a list of options that were ordered on this Keystone Avalanche 300RE. 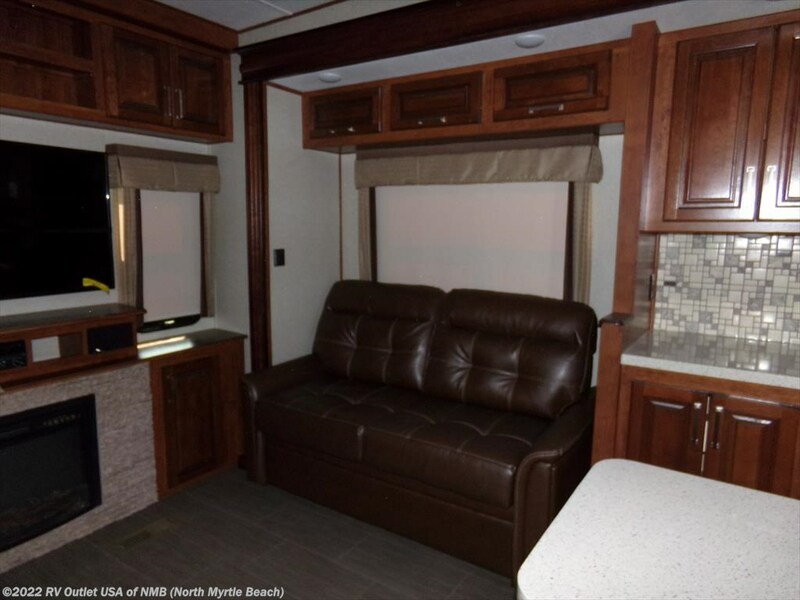 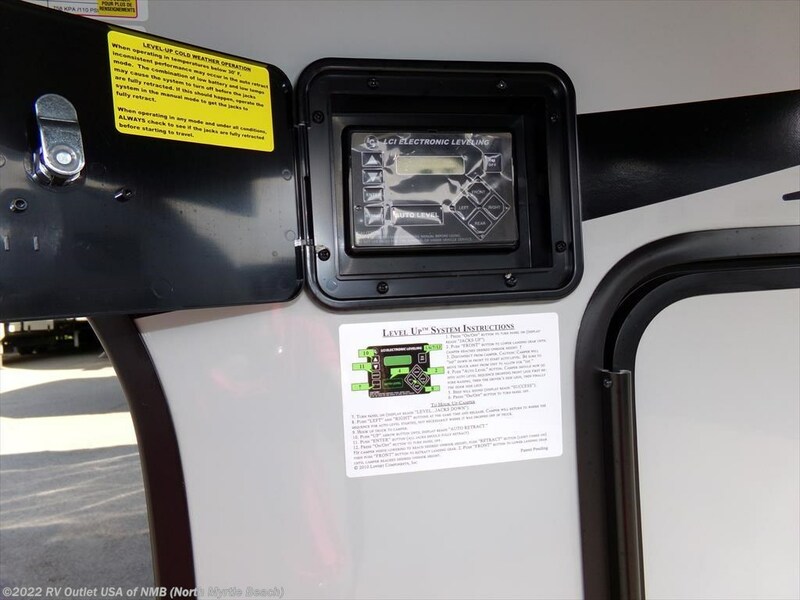 The interior color is forest floor, it has the base Camp package, the high gloss Gel coat exterior, upgraded G-rated tires, an 18 cu ft refrigerator, the Trail Air pin box, an electric fireplace, the ever popular (6) point hydraulic leveling system, and the dual A/C package! 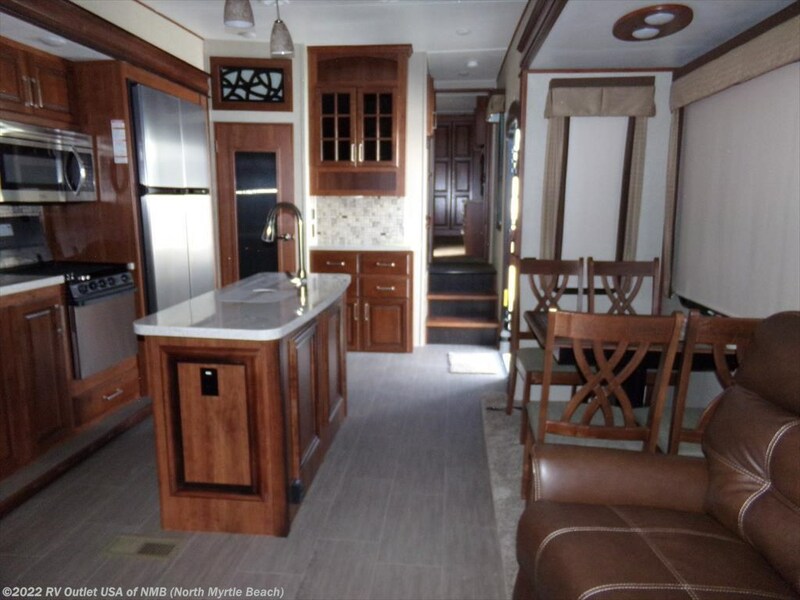 If you have any questions at all, please give us a call at 1-843-756-2222 and ask for sales. 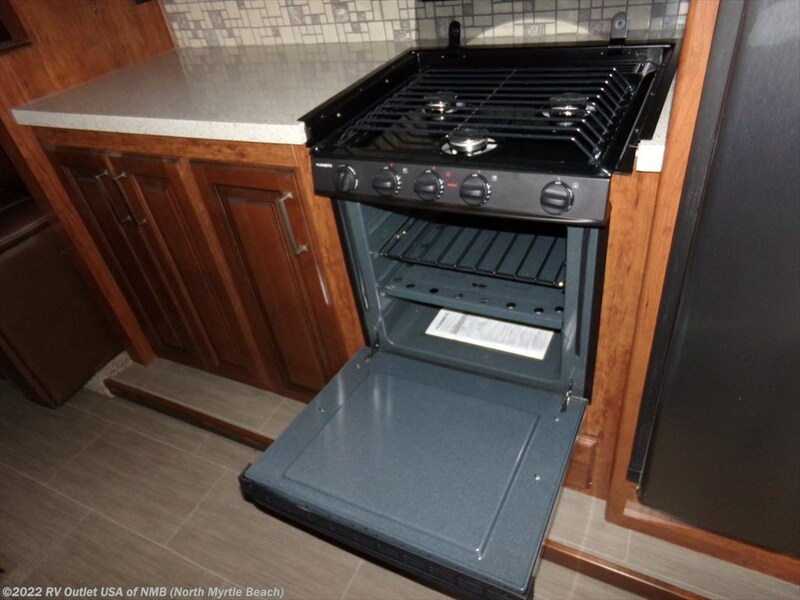 They'll be more than happy to help you. 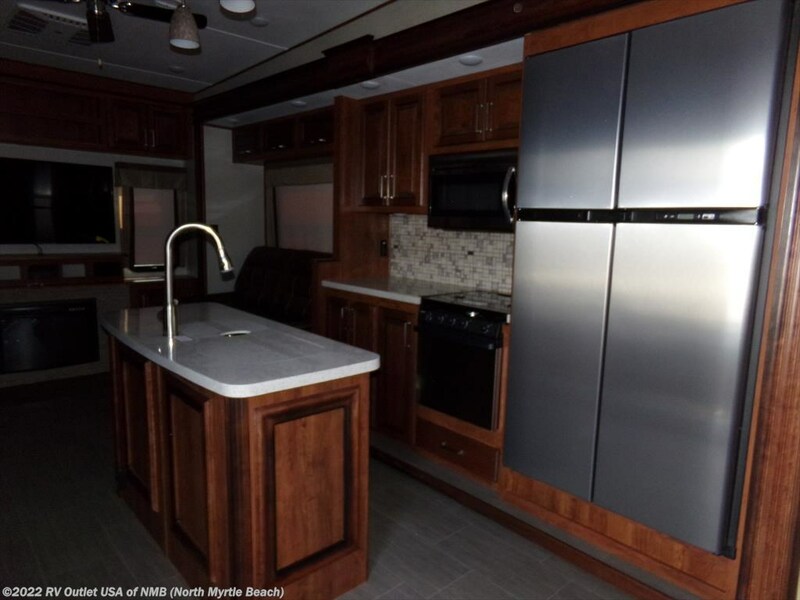 We also have the best financing around and a full service center! 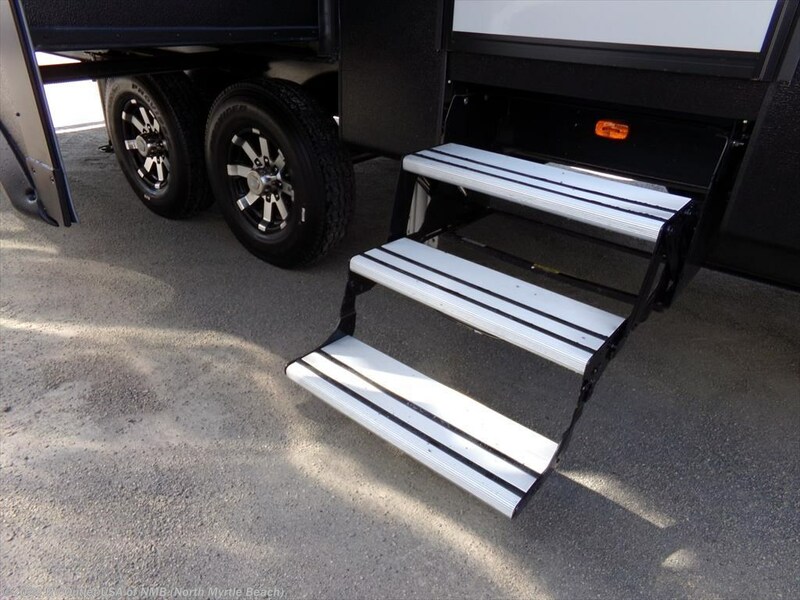 We also have NO doc or prep fees and we always give our customer huge discounts on 5th wheel hitches, installation, parts and accessories!